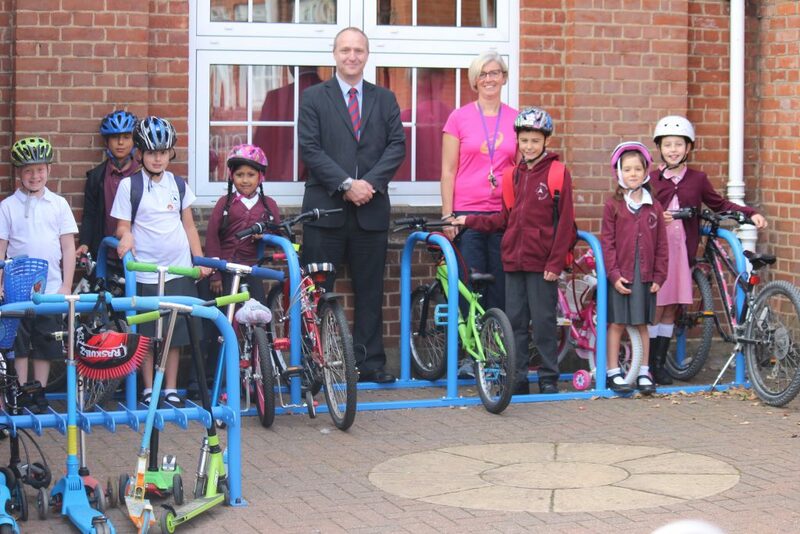 We are delighted to have donated some new bike and scooter racks to North Primary School. The racks accommodate up to 20 bicycles and 20 scooters and will help the children enjoy a more active lifestyle. Lisa Eves, Health Coach at North Primary School, said: “We’d like to say a huge thank you to Lion Walk Shopping Centre for supporting our school and donating the racks. They will make a real difference to many of our students who enjoy scooting or biking into school as well as reinforcing our efforts to encourage pupils to be more active each day. “Through the teaching and awareness initiatives we have implemented in school, we have seen a real increase in the number of students who cycle and scoot here each day. Up until now, we hadn’t had any racks for the children which meant they had to lock them to the railings outside school which we didn’t feel was very safe. Located on John Harper Street in Colchester, North Primary School educates 451 pupils between the ages of 3 and 11. The school places a focus on healthy living and runs a number of initiatives including extra-curricular sporting activities, healthy cooking classes and an early morning fitness breakfast club to encourage children to lead healthy lifestyles. North Primary School has also recently held its first cycling proficiency or Bikeability course for year 6 pupils in a further effort to encourage more children onto their bikes and to teach them how to use them safely when out on the roads. Peter Scopes, Shopping Centre Manager, Lion Walk Shopping Centre, said: “We are delighted that we have been able to support these local school children by providing the racks for them to store their bikes and scooters securely during the school day.